observant 4th-generation Reform Jew. His high school education was begun at Frankfurt’s historic “Philanthropin” Reformrealgymnasium and completed in England after emigration following the “Kristallnacht” pogrom. He came to the United States (Chicago) at age 16 and immediately began full-time clerical employment. He received his college education in nine years of night classes before and following wartime U.S. Army service in New Guinea and the Philippines, graduating from the University of Chicago’s College of Liberal Arts in 1952. He served as administrator of Temple Isaiah Israel (now KAM. Isaiah Israel), Chicago, for seven years (1946-1953), as well as its non-ordained rabbinical assistant for six of those years. Mr. Adler came to Kansas City in 1953 to become the administrative director of The Temple, Congregation B’nai Jehudah for the next 30 years. He then served B’nai Jehudah for an additional eight years as director of endowment development, retiring in 1991. Thereafter, for four- more years, he was a Planned Giving consultant to other charities. He was among the first of his profession to be certified as a Fellow in Temple Administration. He was the President of the National Association of Temple Administrators in 1963-65 and of the Mid-America Planned Giving Council in 1989-1991. He served on the Board of Directors of the Midwest Center for Holocaust Education and on its speakers’ bureau. He was a member of the national Board of Trustees and Executive Committee of the Union of American Hebrew Congregations (now Union for Reform Judaism) for four years and served as administrative consultant to other Midwest congregations for over two decades. He served as well on the board of the Jewish Community Relations Bureau of Greater Kansas City. He was a founding member of the National Association of Church Business Administrators’ Heart of America Chapter in 1971. He was an honorary member of B’nai Jehudah’s Sisterhood, as well as a member of the B’nai Jehudah Brotherhood, the Association of Reform Zionists of America, the World Union for Progressive Judaism, the Leo Baeck Institute, the U.S. Holocaust Memorial Council, and the Mainstream Coalition. His centennial history volume of The Temple, Congregation B’nai Jehudah, Roots in a Moving Stream (1972), was praised nationwide as a model of excellence. 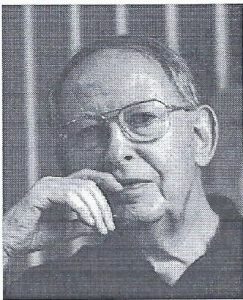 He contributed numerous book reviews and articles on Jewish history and genealogy to The Kansas City Star, the Kansas City Jewish Chronicle, and to national and international journals. The “Frank J. Adler Grove” of 1,000 trees in Israel’s Bicentennial National Forest near Jerusalem was dedicated by The Temple, Congregation B’nai Jehudah in 1978. He received the State of Israel’s “City of Peace Award” in 1984. B’nai Jehudah’s current administrative offices in Overland Park were designated as “The Frank J. Adler Administrative Suite.” He was preceded in death by Lois Adler, his wife of 56 years. He is survived by his wife Elisabeth Adler; sons Daniel Adler (wife Jeanne), Leawood, and Dr. Paul Adler (wife Heidi), East Longmeadow, MA; grandchildren Michelle Wexler (husband David), David Adler (wife Allison), Jonathan Adler and Katherine Adler, as well as great-grandchildren Marissa Ann McLain and Jack Frank Adler. Online condolences for the family may be left at www.louismemorialchapel.com. Arr. : The Louis Memorial Chapel, 816-361-5211.